Power BI Conditional column generate a new column based on the condition that we specify. For example, creating an appraisal column based on the employee performance etc. In this article will show you, How to add Conditional Column in Power BI with example. 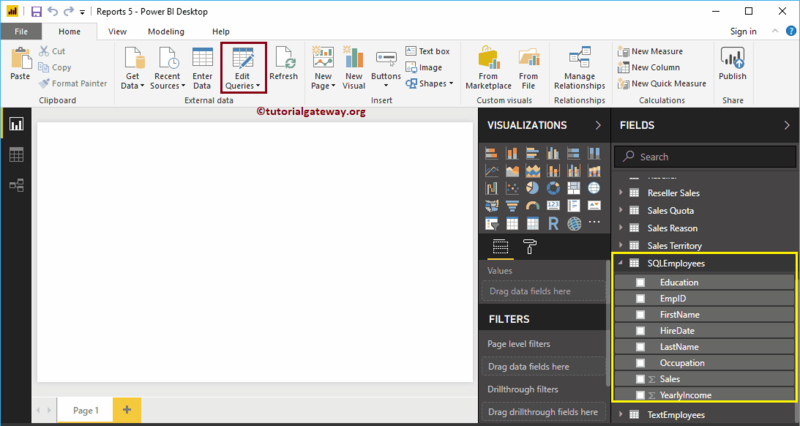 To demonstrate this Power BI Conditional Column, we are going to use the SQL table that we imported in Enter Data article. In order to add conditional column, please click Edit Queries option under the Home tab. Clicking Edit Queries option will open a new window called Power Query Editor. In this example, we are going to use the Sales column. First, go to Add Column Tab. Under this tab, you can see the Conditional Column button. You can use this button to add the conditional column on this table. Clicking the Conditional Column button will open the following window. Next, we selected the Operator as greater than, and value as 3000. Within the Values or Output text box, either you can give the static values or you can select the column. From the below screenshot, you can see the new column with the information that we specified in the conditional column. Next, hit Close & Apply option under the Home tab to apply these changes.